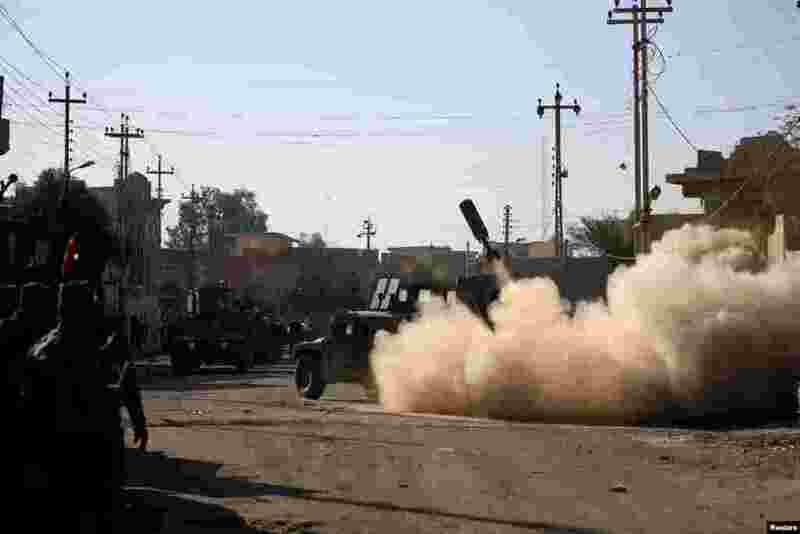 5 Members of the Iraqi rapid response forces fire a missile toward Islamic State militants during a battle in Somer district of eastern Mosul. 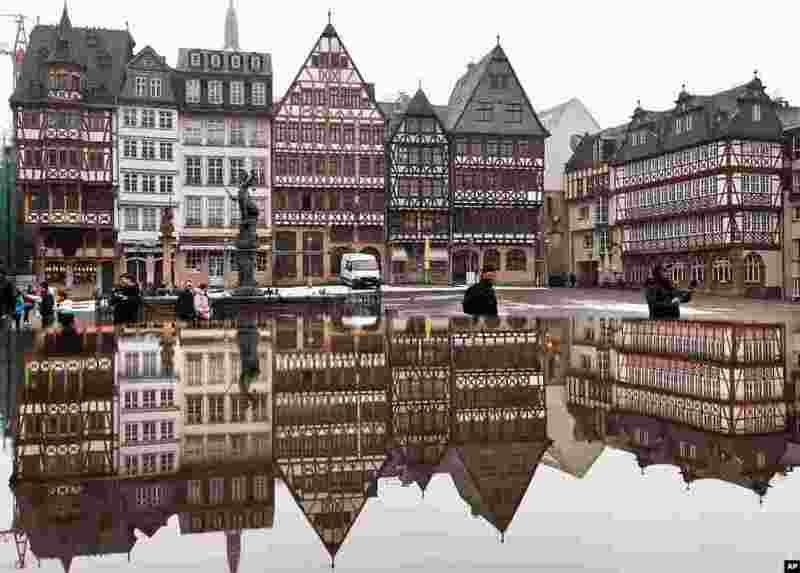 6 The timber-frame houses at the Roemerberg square are reflected in water in Frankfurt, central Germany. 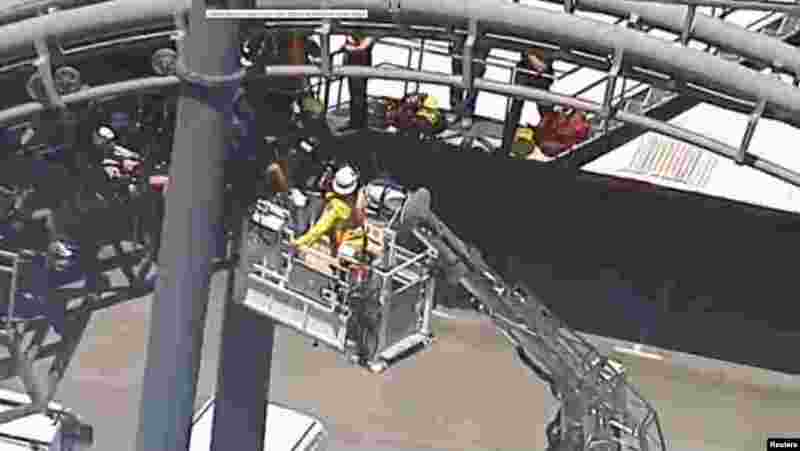 7 Rescue workers are seen next to people stuck in the Arkham Asylum roller coaster ride at the Warner Bros. Movie World theme park in Gold Coast, Australia, in this still image from video. 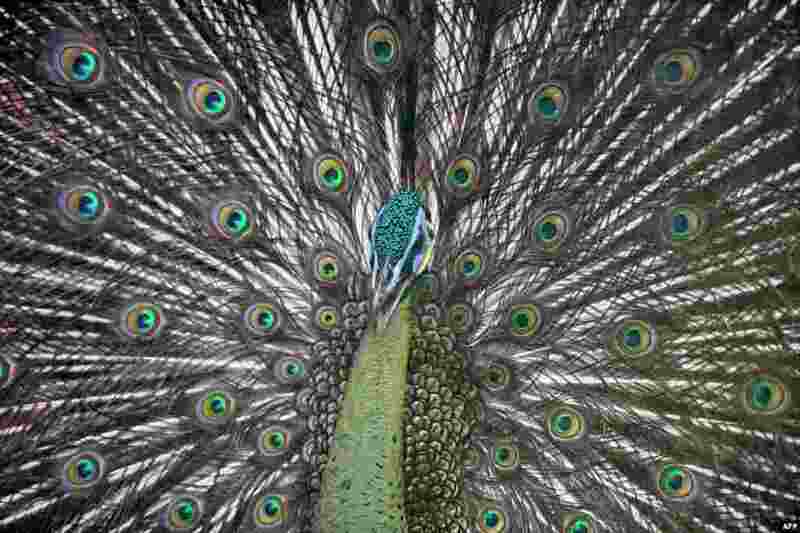 8 A peacock is seen inside its enclosure at Jurong Bird Park in Singapore.